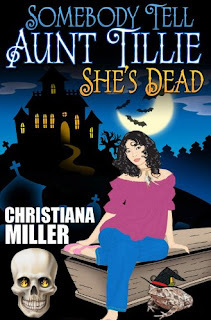 The Tiki Goddess Series starts off with a bang when Em Johnson is summoned to Hawaii to help her uncle run his Tiki Goddess Bar. After going through a messy divorce, Em thought running the bar would take her mind off her own problems. However, things don’t turn out that way when their nasty neighbor turns up dead in the luau pit. Suspicion falls right on Em and her uncle Louie. 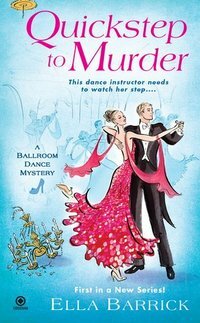 The wacky dancers of the Hula Maidens pitch in to help investigate this murder, but they find themselves getting in deeper and deeper. Two of them are accused of the crime and they do everything they can to clear their names, but are they helping or making matters worse? Even Em is at a loss of who to trust. 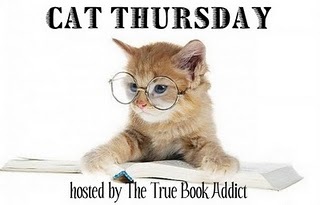 Jill Marie Landis literally transports her readers to Hawaii and gives us a cast of memorable characters including a talking parrot named David Letterman. This was truly a fun mystery, although I kind of suspected who the real culprit was early on in the book. 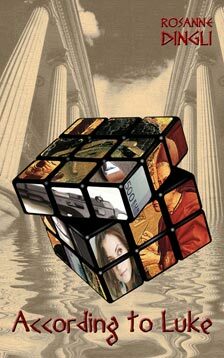 Still, it was a fast-paced book with characters that will work their way into your hearts. 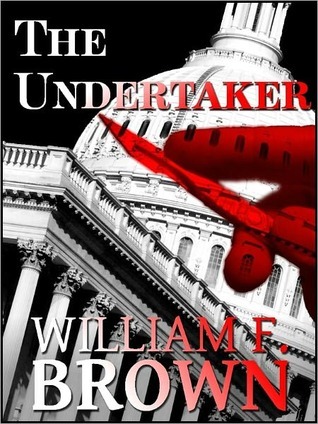 I’m anxiously looking forward to the second book in this series. She tilted her head in wonderment. Where had the time gone? She didn't feel old, despite the evidence in the mirror. How could she possibly be nearing seventy-five? It didn't make any sense. But what did make sense, now that her life was no longer dictated by her often demanding, though charismatic husband, was doing what she wanted in whatever time remained to her. • cried over? Nothing recently. • disliked and couldn’t finish? Again, can't remember anything. I usually finish everything. • gave to someone else? 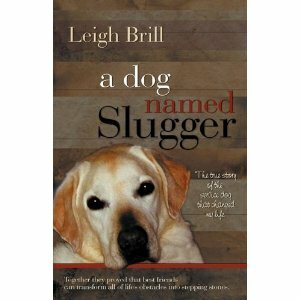 I just gave a big bag of books to someone at work - I can't remember which titles. I just needed to clear some books out. • stayed up too late reading? I never seem to stay up late and read anymore. Sunday Salon - Hurricane is Coming! It's a stormy Sunday coming. It's really Saturday night now and I figured I would post it now in case we lose power. The hurricane is pointing right at us but I'm hoping against hope that everything will turn out alright. 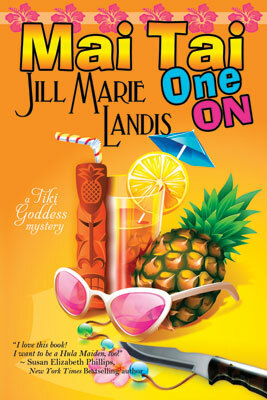 I'm currently reading Mai Tai One On by Jill Marie Landis. It's really a funny cozy. I'm enjoying it. I'll have a review in a few days. If I'm not around for a few days, it means I lost power. I do hope all of you that are in the path of Hurricane Irene are safe. 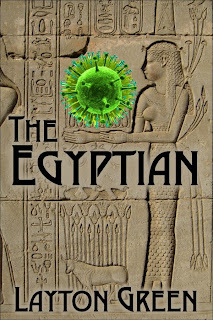 Domenic Grey goes on his greatest adventure yet…he’s off to Cairo, Egypt to locate a missing test tube which is supposed to be a cure for aging. His client, Al-Miri, claims to have discovered eternal life. If the test tube gets in the wrong hands, it could be a disaster for all mankind. Grey still hasn’t recovered from his last case in Zimbawe and he’s still getting over the end of his romance with Nya. After their last case, Nya hasn’t been the same and Grey has no choice but to move on with his life. He delves into his work with Viktor and devotes himself to helping Al-Miri. He had no intentions of finding romance, but that’s exactly what happens when he runs into the beautiful journalist Veronica. She manages to get herself in the middle of the investigation. This could be the biggest story of her career. She won't let anything get in her way, not even her attraction to Grey. Grey and Veronica do not have much time for their developing romance as friends turn into enemies, scientists are being murdered and religious cults could be taking over. They race against the clock to discover what's really behind Al-Miri's motives and stop him before it's too late. This is the second Domenic Grey thriller by Layton Green and it’s guaranteed to take readers on a roller coaster ride they won’t soon be forgetting. The story absorbs the reader into the adventure and takes you to another land, leaving readers breathless and anticipating what will happen next. The book did tend to get a bit too technical for me, but that didn’t stop my enjoyment of it. Layton Green has done his research and it shines through on each page. I will be anxiously awaiting the next installment of the Grey adventures. These books each stand alone, but it's more fun to read them together. 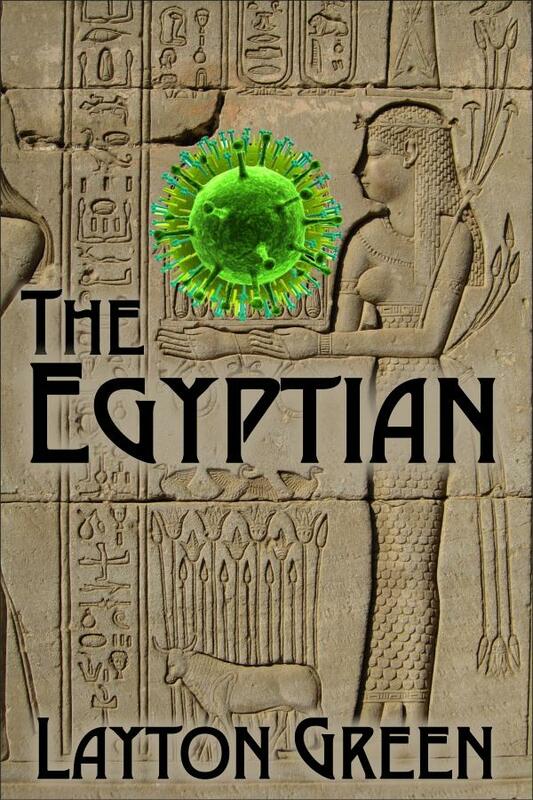 This weekend, and this weekend only - Amazon and Barnes & Noble have both ebooks, The Egyptian and The Summoner (read my previous review of this fabulous book by clicking the title), on sale for 99 cents each! 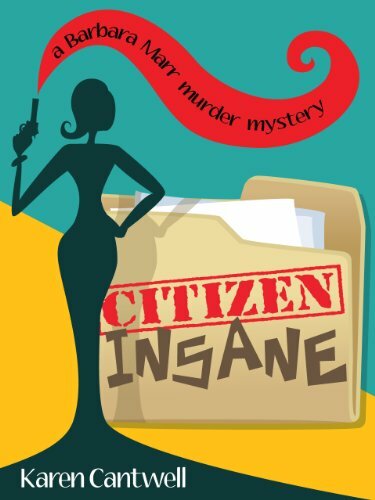 When Madison, a teenage girl, is reported missing by her divorced mother, Bernie and his trusty sidekick Chet are on the case. 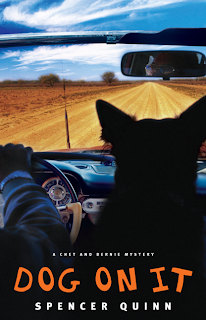 Chet is a canine investigator. He’s very smart, a huge help to Bernie and as loyal as they come. Unfortunately, what starts out as a relatively simple case, turns out to be something much more sinister and dangerous. Her mother is sure someone kidnapped her but there's no ransom. Madison's father thinks she just ran away and will return on her own. Bernie and Chet aren't so sure. In fact, they are convinced the father is up to something and it's not a good something. 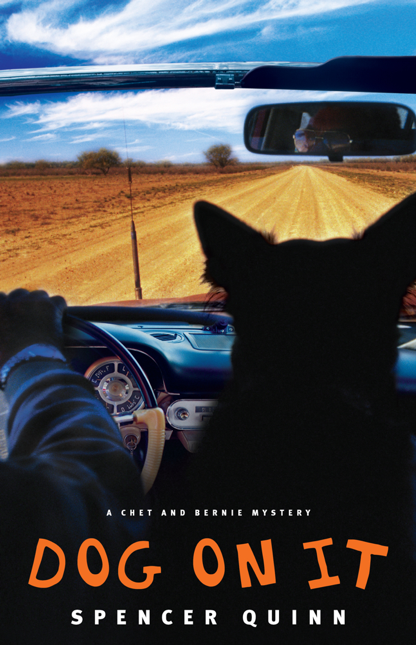 Bernie and Chet set out to find some answers, but instead find themselves in mortal danger. 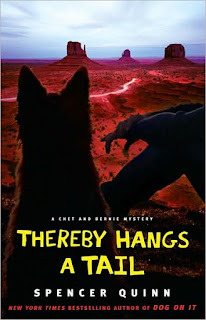 This is a cute detective mystery told from the dog’s point of view. Chet doesn’t have super powers or talk to humans, but the reader knows what he’s thinking throughout the entire book. He reacts to things as most dogs would (he loves to eat!). I already took out the next two audio books in the series from the library and I’m looking forward to those as well. 2. I love a vacation! I long for my next vacation - just me and hubby on a beach somewhere relaxing. 3. When I lose socks in the dryer, I think why are they running away from me? 4. My favorite snack to eat while watching t.v. is ice cream (low fat since I'm trying to be healthy). In the winter it would be cookies. At least her folks' generation boasted real hippies who fought for causes like world peace, ending the draft, or at the very least, burning bras to liberate breasts. I was browsing through the upcoming cozy mystery releases and this cover struck me. His yard showcased some of the crap he had salvaged. Rubber tires filled with dirt and planted with yellow and orange day lilies were scatted around. A four-foot tall plush Bugs Bunny was strapped to the trunk of an African tulip tree. A bald Cabbage Patch Doll in a frilly pink pinafore was impaled upon a metal fence stake at the entrance to the driveway. They would have found the body sooner if it hadn't been two-for-one Mai Tai Night. Six months ago, if anyone would have told her she'd be living on the North Shore of Kauai divorced, broke, and managing a shabby - albeit legendary - tiki bar, she would have told them to start spinning on a swizzle stick. 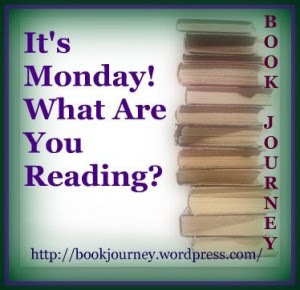 Musing Mondays - Characters or Plots? Do you prefer character-driven stories, or plot-driven stories? This is a tough one because I think you need a good mixture of both. If I have to choose, I guess I'd pick character-driven stories. I love getting to know characters. Since I read many series books, I often read and get to know many of the same characters for years. As with most series, not all books in a series are good but I'll still read it to re-visit some of my favorite characters. When you read series, they almost become old friends. I hope everyone is enjoying their summer. I can't believe it's almost over. Where does the time go? This week I had the honor of interviewing Kari Lee Townsend. 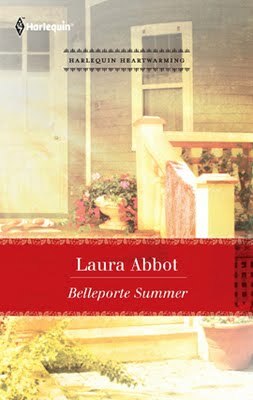 She wrote a cozy mystery I loved, "Tempest in the Tea Leaves". I love doing author interviews :) In fact, check out my sidebar, I have quite a few interviews/guest blog posts/blog tours coming up. I'm really excited about them. I'm still trying to decide if I should do a cozy blog. I was thinking it would be a good place for me to keep track of the different cozy series I'm reading, new releases coming up and I would post my cozy reviews there (as well as here). I don't know. I'm not sure I have the time, but I'm thinking about it. So, how was your week? Read anything good this week? Sunday Salon - My Belated June Wrap Up!